Happy Tuesday!!!! I hope everyone is doing fantastic today! The weather here has decided to go from 80 to 40, so you know how I'm doing. Although, it is Twinsie Tuesday so I am rather happy about that! Today's theme is "gifted polish". Now, I don't have really any gifted polishes. I did receive a few polishes as graduation gifts which I remembered after I planned this post and painted the manicure. Isn't that always how it happens? Anyways, my plan for today's manicure was to use some polishes that I think would be awesome gifts to give to any polish loving person! I went through my stash and had a huge amount of polishes picked out. My mind was going crazy trying to figure out how I could incorporate all of them. Since I started Easter week on Saturday, I started to think of different Easter themed manicures. Then, inspiration hit. 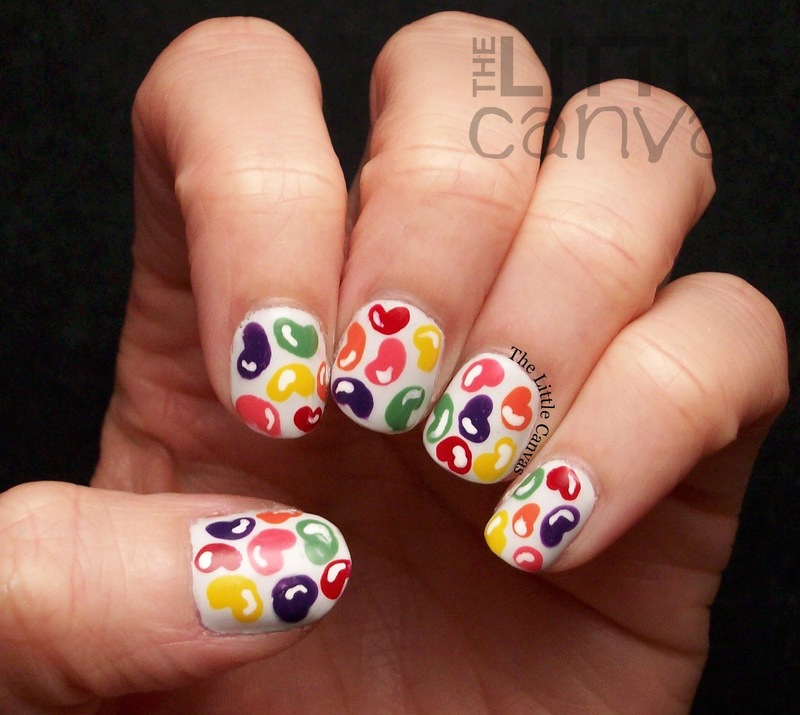 I remembered this manicure by Twinsie Alum Heather from Peace, Love, and Polish. Miss Amber from Nails Like Lace actually recreated Heather's manicure as part of a birthday tribute to Heather. Kind of an amazing post everyone should check out. 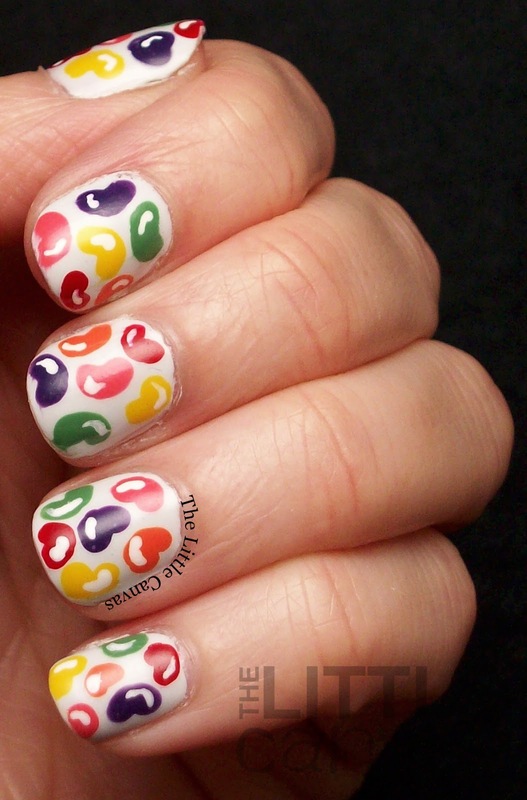 The jelly bean manicure is perfect with the theme of "gifts" since it is a common Easter gift! So let's take a look at a common Easter gift manicure using polishes that would make awesome gifts! First polish that would be an awesome gift to a nail artist is OPI - My Boyfriend Scales Walls. This polish was released as part of the Amazing SpiderMan collection when the first movie came out. I could only hope that they re-release it with the second movie, but I highly doubt it. It's a perfect off white polish which doesn't take away from the nail art. It applies evenly in two coats thanks to that perfect OPI formula. The good thing about jelly beans is that they're primary colors which ever nail polish enthusiast should own. Starting with red, Zoya Livingston is perfect. This polish was released as part of the Fall Cashmere collection. To me, it's like a crelly, which applies awesomely in two coats. I'm going to have to grab a back up bottle of this since it is my mother's favorite red as well. For orange, I selected Zoya Thandie from the Summer Stunning collection. Micky (the pink), Josie (the green), and Darcy (the yellow) were all from this collection as well. All the creams in this collection are favorites of mine. They're so saturated with color, have a perfect formula, and are great for nail art. I'm super psyched for the Tickled collection because from the preview the creams already look just as amazing! I selected Orly Charged Up for the purple. I have mentioned that lately I'm falling in love with Orly polishes, and this is one of them which started that love. I purchased it during a BOGO sale at Sally Beauty Supply to replace Sinful Colors Amethyst. Both this and the Sinful are great polishes. Compared to the Sinful, I would say that the Orly is more like a crelly leaning more towards the cream side, where the Sinful is a legit cream. Perfect coverage in two to three coats with a great fun purple color. 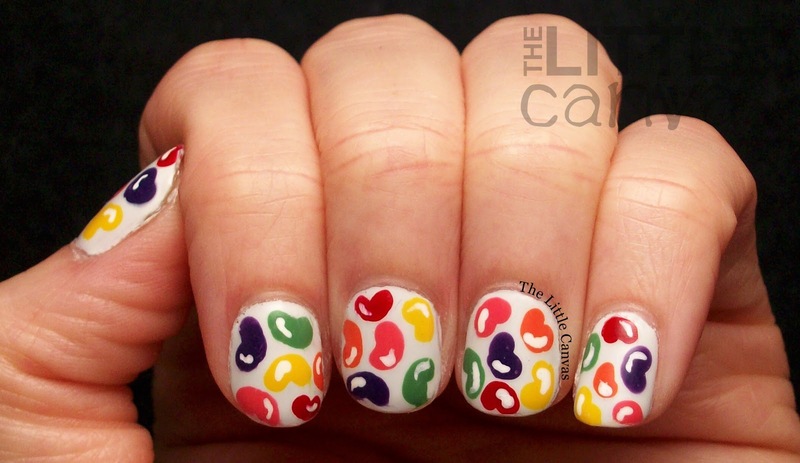 I was iffy about my Jelly bean manicure and was debating on sharing it or not. I had a struggle with these nails. Funny though, the nails I seem to struggle and feel super iffy about, I get the most compliments on. Many people asked me if they were stickers, which to me is a huge compliment. I'm happy in the end that I did them though and am rather happy with how the post turned out despite not really having gifted polishes. Oh, how I got the look! I started off with my base coat of MBSW. 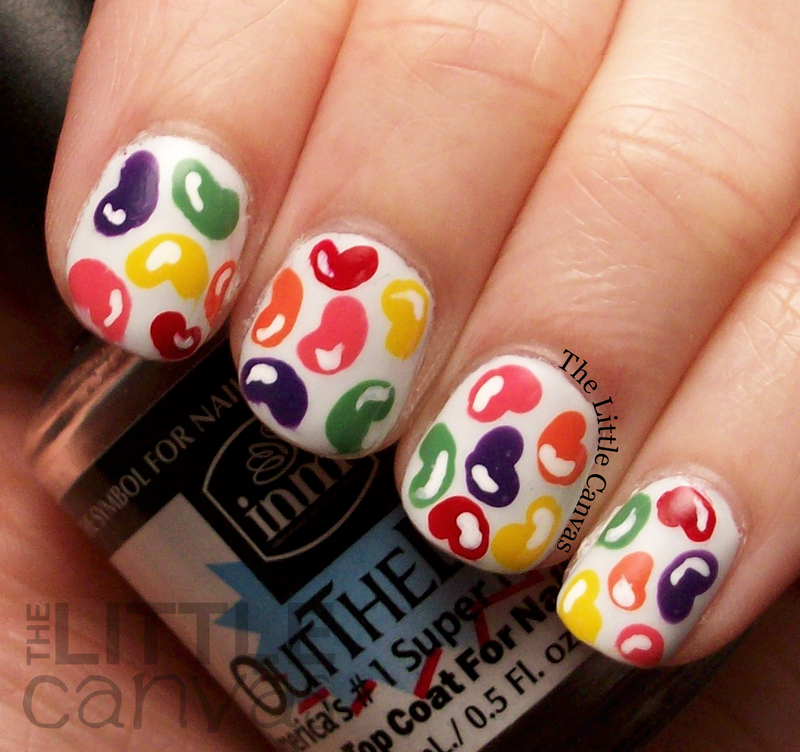 When it was dried, I created the jelly beans by using a dotting tool. When those were dry, with a small nail art brush, I added the white little accent. Super easy and super fun! What do you think? Do you own any of the polishes I selected as ones that would be good gifts? Are they polishes you would think to give to others? The Zoya's can be purchased direct from Zoya's website! Make sure to check them out!